Sometimes people seem to forget that every famous face was once just an ordinary person! Of course, there are exceptions, but in the majority of cases every celebrity has a story to tell. The classic scenario always includes a period of hard work before the fame or just a regular life that had no signs of turning into an extraordinary one. The list below covers some curious moments of these periods of celebs’ lives. 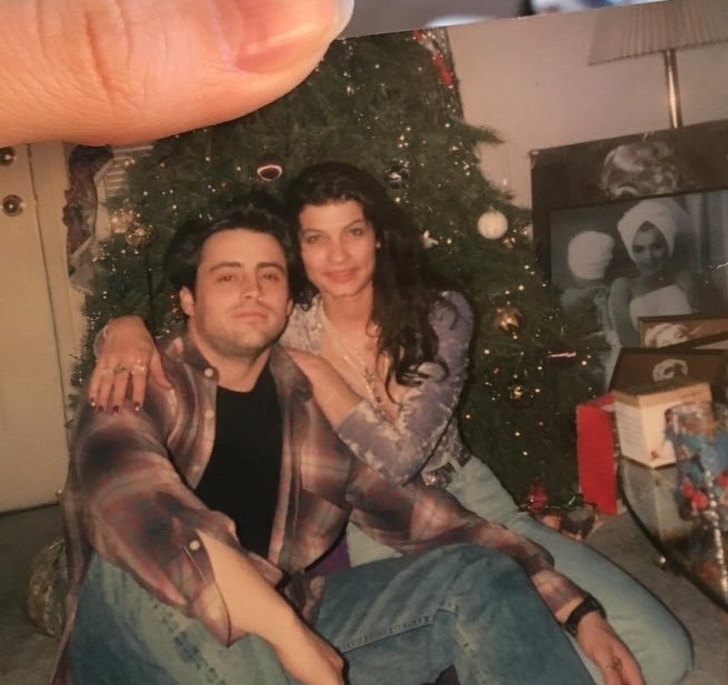 People shared photos of themselves or their family members who used to have different relationships with famous people before they actually became famous! This is definitely a story to tell and we are actually a bit envious of some of these people! We could only guess, but there is a big probability that 9 out of 10 women would feel envious after seeing this photograph! And there is a good reason for that! It is really cool to know that a good friend from high school became one of the most desired men in the world because of his huge acting talent and his good looks, of course. The photo was posted by this woman’s niece and she is definitely proud of the fact her aunt knew Bradley Cooper. It seems that nieces are pretty keen on revealing family secrets because this image was also shared by one person’s niece. That person is extremely lucky because she had a really special boyfriend many years ago. 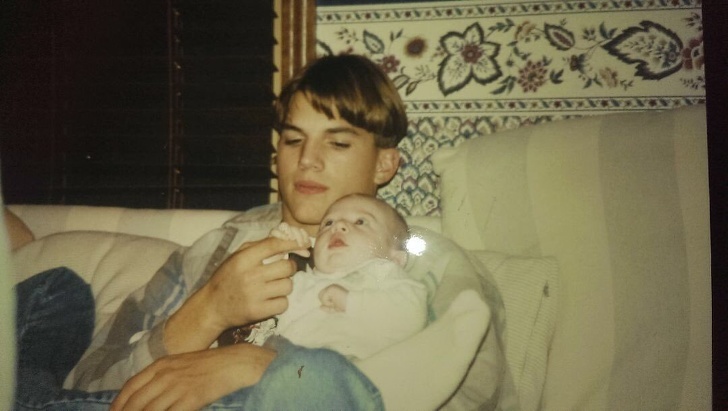 We guess that you already recognized Ashton Kutcher! This cute photo shows the future world-famous actor taking care of a baby! Needless to say, he looks cute as ever, and we guess he always will be! Well, this one is rather curious! It is one thing to keep the memory of a celebrity who used to be in your class or in your neighborhood, but it is another story when the celebrity was actually your boyfriend! 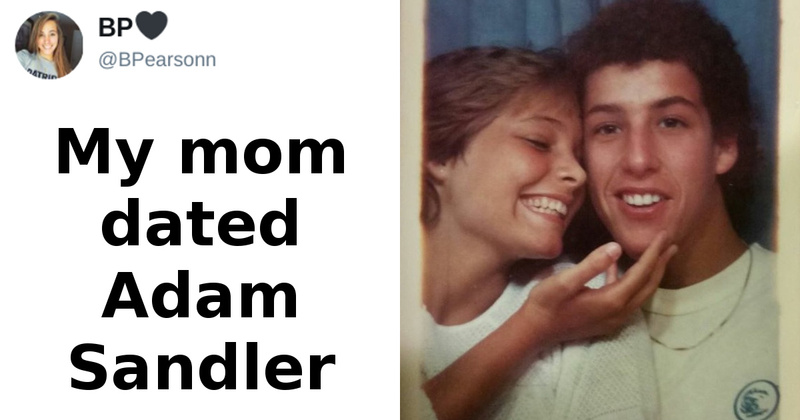 The image you see was shared by this woman’s daughter and she was probably delighted by the fact that her mom had such a relationship with the famous comedian. 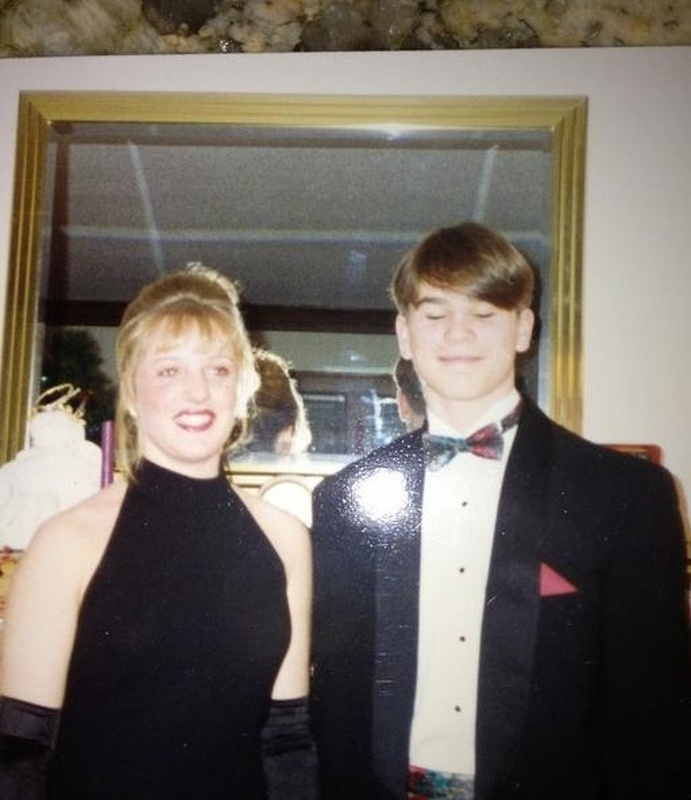 They even went to the prom together, which is cute! One person was browsing through the family photo archive, and as you can imagine, there were many curious images, one which was far more interesting than the rest! It is easy to see why! 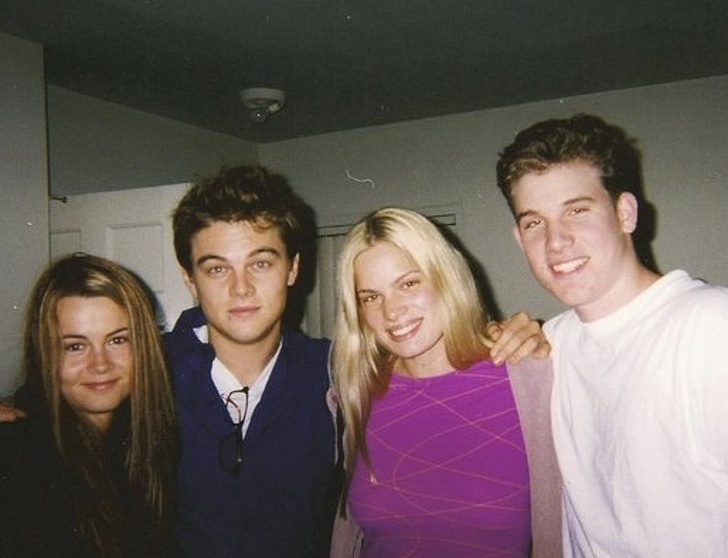 It turned out that the person who shared the image on social media has an aunt that used to date Leonardo DiCaprio! He looks like he is about sixteen years old, but we cannot be sure about that. The aunt was one really lucky person and she probably keeps the memory of these good old times. 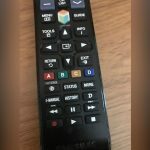 One person shared this on social media and told the story behind it. Apparently the image showed this person’s mom with one of her former boyfriends. You recognized him right away, didn’t you? Of course, this is Matt Le Blanc! He appears to be in his early 20s and he looks as sweet as ever! The girl next to him was definitely lucky to have him, although he was not famous at the time. In fact, it was the only photo she was able to keep. And it is not just any actor, but one of the hottest Hollywood celebrities – Josh Hartnett! The Pearl Harbor star is almost unrecognizable but it is definitely him! 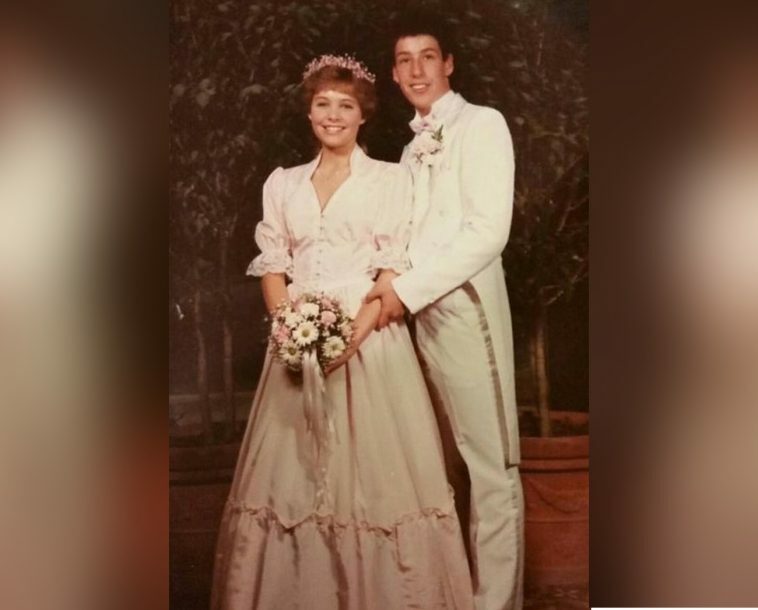 The image was shared by the woman’s daughter who was probably overwhelmed when she found out about her mother’s high school boyfriend! They actually look really cute together, but it apparently ended a long time ago. Still, the memory is worth keeping! Chances are that if someone had something in common with a person who eventually became a celebrity, that someone would be proud to share all the details about that precious time. 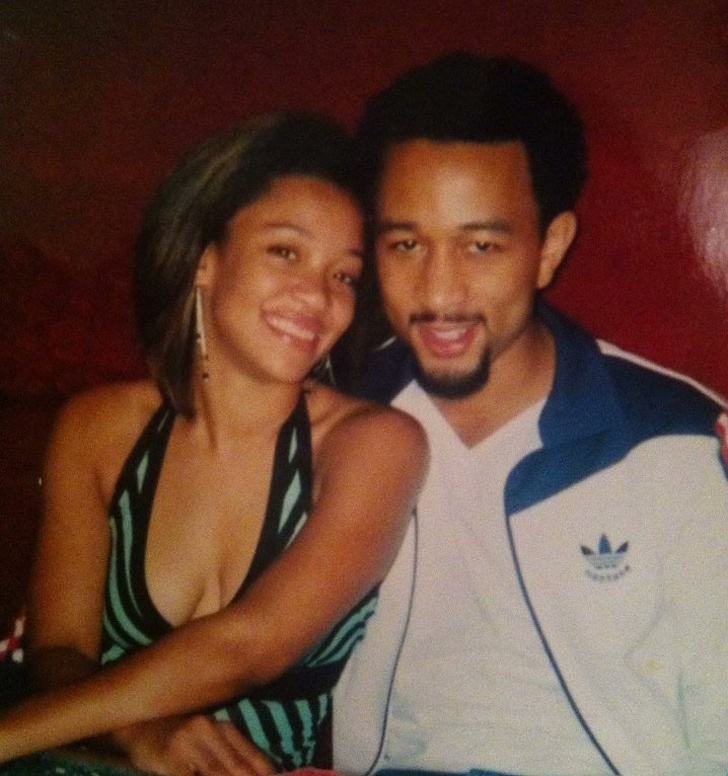 As you can see, this lucky girl used to date Usher, and they look really happy together. This image was uploaded on social media by the girl’s brother who mentioned that unlike most people would have done, his sister never mentioned about her now famous former boyfriend. Now this is what we call a cool childhood memory! Most people remember going on vacations or visiting premieres of iconic movies, but these people have a memory that is definitely not an ordinary thing for sure! After all, having Jamie Fox for dinner is anything but ordinary! Apparently the actor used to date these kids’ aunt. 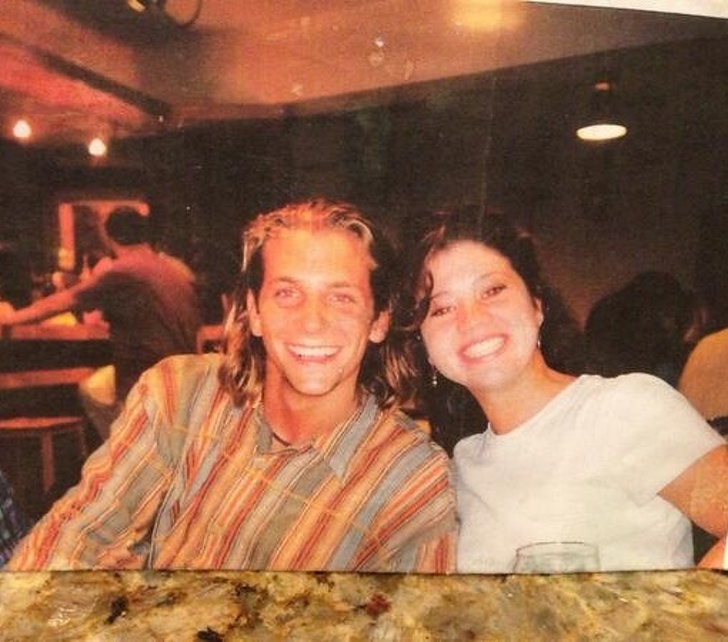 Now the kids are all grown up and they shared a photo of the times they called the actor ‘Uncle Jamie’. Well, it turns out yearbooks are one of our favorite things for more than one reason. We love checking these out because they are a lot of fun to browse through. The images people have in the yearbooks are often goofy or weird on purpose, not to mention the captions they put. But there are obviously other interesting things to see there. Someone found a familiar face in their yearbook. 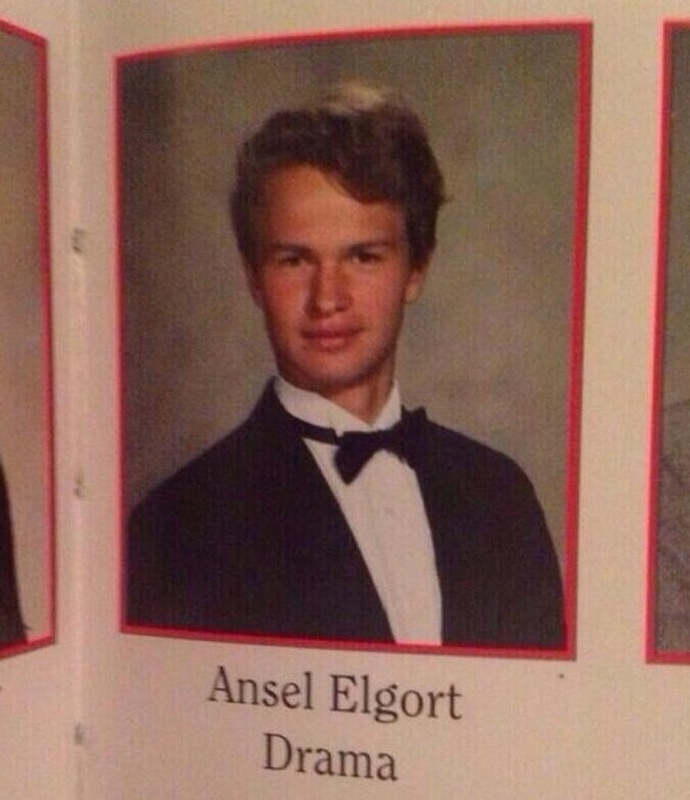 Of course, we all know who Ansel Elgort is! As we already mentioned, the fact that a relative of yours used to have a relationship with a famous face should not be kept a secret. However, some people are not aware that even their closest ones used to have such a relationship. This is exactly the case here. One person shared this image of her mother and you can see that John Legend is keeping her company! The daughter was about ten years old when the image was taken and her mom told her recently that it happened. We guess that the only better scenario than having a family member who used to be in some kind of a relationship with a celeb would be for that relationship to still exist! This is a nice example and we are really envious of this person. Someone shared this image of their uncle and guess who is smiling next to him? 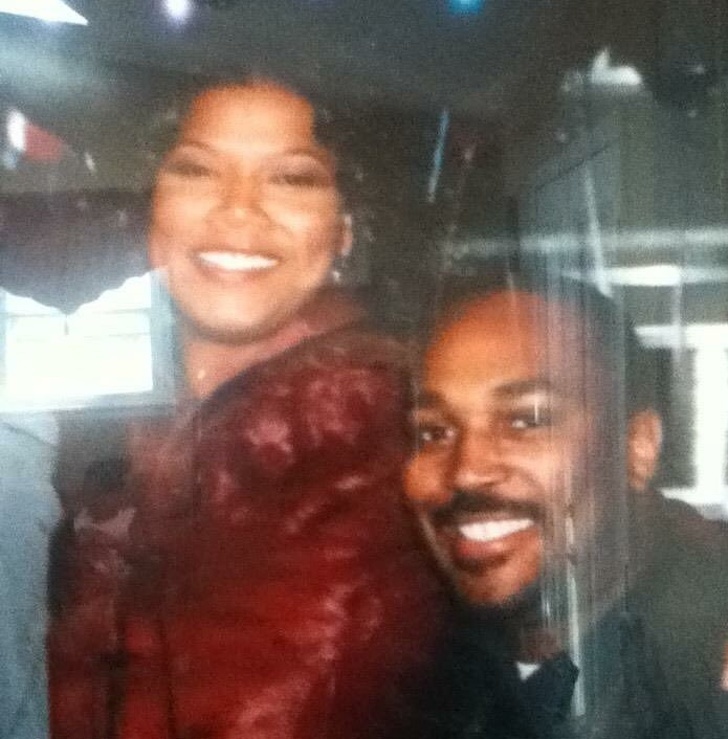 That’s right, it is Queen Latifah! One of the most charismatic Hollywood faces and this man apparently kept their friendship since the time she was still not famous. Sometimes people are lucky enough to share an episode of their lives with someone special. This man is definitely among those people. This man is definitely on top of that list! 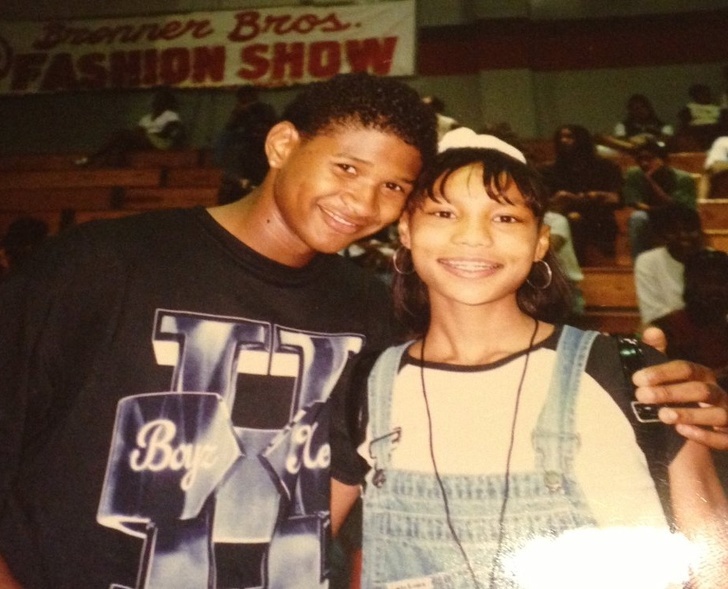 He actually was Tisha Campbell-Martin’s boyfriend once! One thing we can say for sure is that they looked really good together. The photo was shared by this man’s son and he is positively proud of his father, and wouldn’t he be! It is really easy to recognize this face, right? 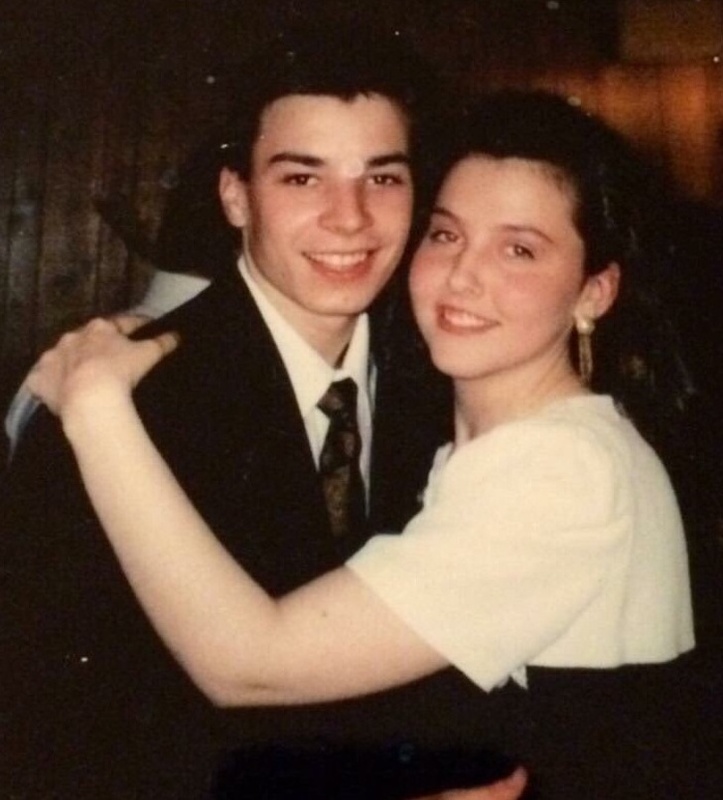 Of course, this is Jimmy Fallon in his younger years and her looks amazing! The huge smile in his face is probably because of the way he feels in the company of that girl. She happened to be the aunt of the person who shared this image. The fact that they shared it means that this person takes pride in their aunt’s former boyfriend! Well, we would have never guessed who that is, but seeing the first name next to the image justifies the resemblance with the former first lady! 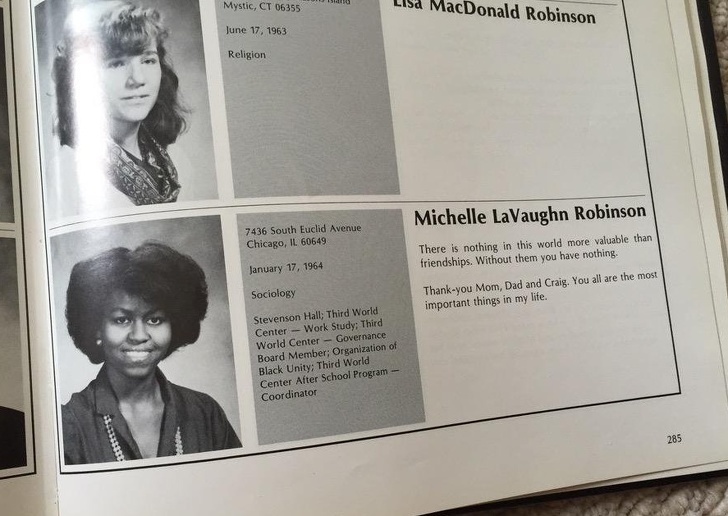 Yes, this is Michelle Obama! You cannot mistake that smile for sure. It was probably an unexpected but pleasant surprise for this person to see her in their uncle’s yearbook. This is yet another proof why it is worth it to browse through one of these whenever you have the chance to. You never know who you might see in there! This is definitely a nice way to end this list! As you can see, this is another yearbook that holds an interesting surprise. 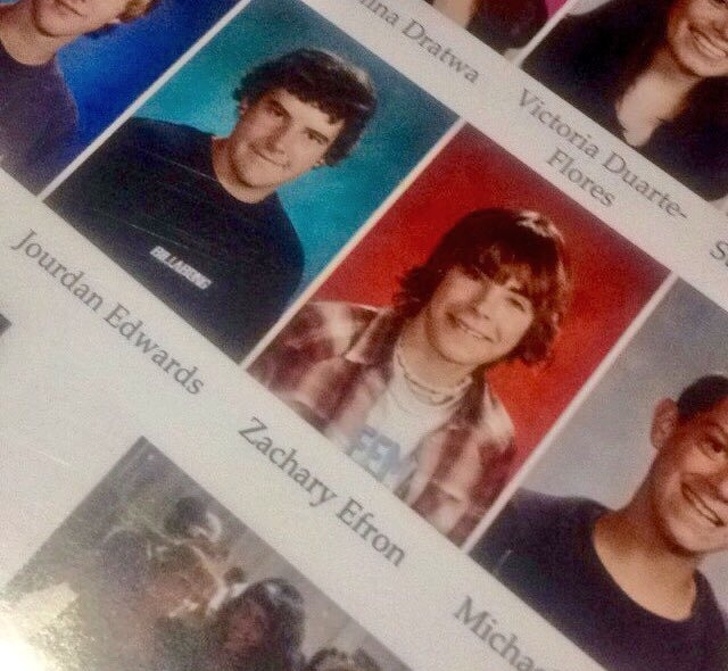 One person told their friend that he went to high school with none other than Zach Efron! Naturally, this person’s friend found it hard to believe, but this yearbook was the best possible proof. As you can see, Zach is still a kid and he looks nothing like nothing he does now. Times change, and people change as well! This person probably had no idea that one of the people in their high school could become this famous.